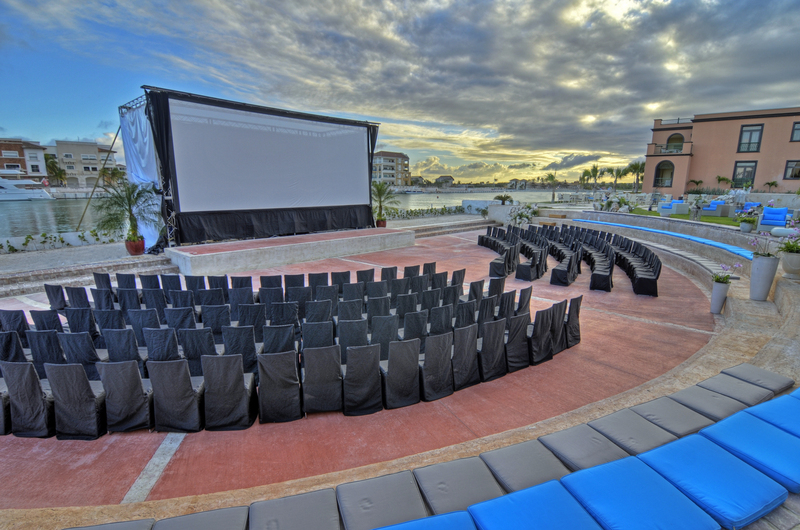 The Fishing Lodges amphitheater set up for spectacular film screening. 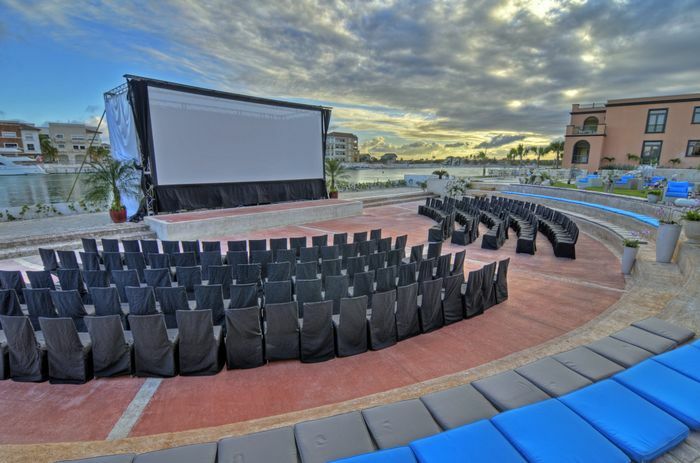 CAP CANA, DOMINICAN REPUBLIC (November 25) – The new Fishing Lodge Cap Cana resort held a spectacular screening of the Brett Ratner-directed film Tower Heist at its outdoor, waterfront amphitheater on Saturday, November 19, as part of the Dominican Republic Global Film Festival. 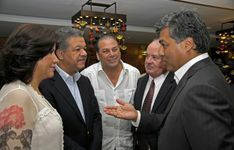 The screening was attended by Dominican Republic President Leonel Fernndez, First Lady Margarita Cedeo de Fernndez, and a variety of celebrities, like Ratner, Actor Danny Glover and Actress Zo Saldaa. 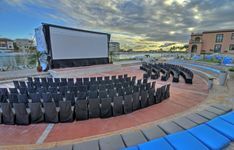 The event enabled the luxurious new resort, which opened on November 3, to display its spacious accommodations and array of architecturally stunning spaces, including a stone amphitheater which enjoys a spectacular view of Cap Cana’s marina and harbor. Fishing Lodge, named for the Caribbean’s largest inland marina which the resort surrounds, is located within a masterfully designed village only 10 minutes from Punta Cana International Airport. 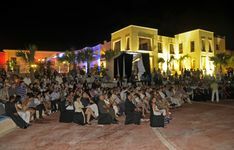 Managed by Salamander Hotels & Resorts, it features an array of amenities, including three restaurants, three bars, four pools, a 16th century-style stone wedding chapel, boutique shopping outlets and 30,000 square feet of event spaces. The resort is currently offering introductory meeting package pricing through 2011, which includes a starting villa $99 room rate (either single or double occupancy) and complimentary meeting space. The package is applicable for groups of 10 or more and does not include taxes, resort fee or service charge. Group rates for 2012 begin at $139 a night. All-included plans can be purchased for an additional $125 per person, per day. Part of Salamander’s Grand Resorts at Cap Cana collection – which also includes the nearby 176-suite oceanfront Sanctuary resort, and the soon-to-be-completed 113-room Ocean Club – Fishing Lodge includes 298 Mediterranean-style villas with stunning marina views, designer furnishings and innovative architecture. Built on low-rise docks, they range in size from junior to three-bedroom villas, while several feature private infinity pools and swim-out access. Guests also enjoy a secluded beach, and a Jack Nicklaus Signature experience at the exclusive Punta Espada Golf Club – the top-ranked golf course in the Caribbean and Mexico. 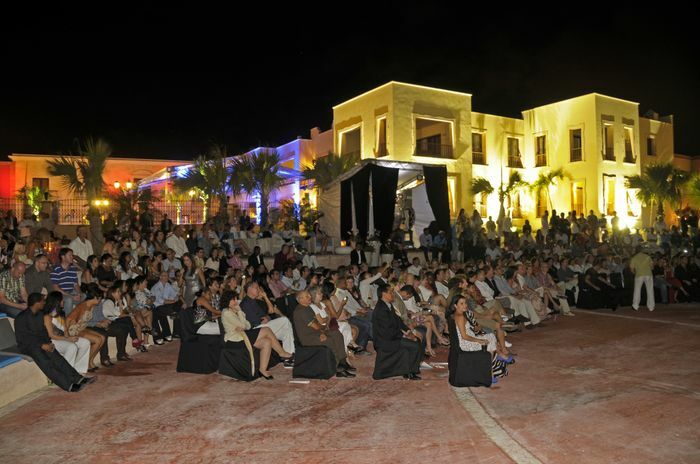 For group bookings, call (540) 687-3710 or www.GrandResortsAtCapCana.com. Managed by Virginia-based Salamander Hotels & Resorts, the Grand Resorts at Cap Cana includes the luxurious oceanfront Sanctuary resort, the brand-new, village-style Fishing Lodge and the soon-to-be-completed Ocean Club. Together, they offer the Caribbean’s most attractive new destination – all only 10 minutes from Punta Cana International Airport, served by 38 airlines offering flights from 100 cities worldwide. For more information, visit www.grandresortsatcapcana.com. To call, use 1-866-855-4886 (within the US), 1-888-751-8544 (within the Dominican) or 1-809-544-4343 (other international countries). For the US-based sales office, call 1-540-687-3710. Salamander Hotels & Resorts is a privately owned and operated company based in Middleburg, VA, just outside Washington, D.C. Founded by entrepreneur Sheila C. Johnson in 2005, the company has a portfolio that features the Grand Golf Resorts of Florida, a collection of three stellar golf resorts including the recently renovated Innisbrook Resort near Tampa, Reunion Wyndham Grand Resort in Orlando and the oceanfront Hammock Beach Resort in Palm Coast; Grand Resorts at Cap Cana, a collection of three luxurious properties in the Dominican Republic including the oceanfront Sanctuary Cap Cana, the marina-inspired Fishing Lodge Cap Cana, and the boutique-style Ocean Club Cap Cana opening in 2012; the Forbes Five-Star- and AAA Five Diamond-rated Woodlands Inn near Charleston, SC; and the under-construction Salamander Resort & Spa in Middleburg, a 340-acre equestrian-themed, ultra-luxury resort located near Washington, D.C. For additional information, call (540) 687-3710 or visit www.salamanderhotels.com. 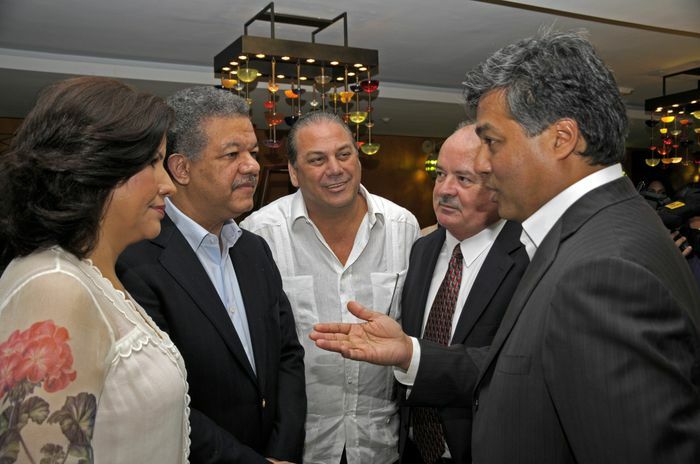 In conversation at the Fishing Lodge (from left): Margarita Cedeño de Fernández, Dominican Republic First Lady Leonel Fernández, Dominican Republic President Ricardo Hazoury, President of Cap Cana’s Board of Directors Hendrick Santos, Managing Director of Grand Resorts at Cap Cana (including Fishing Lodge) Prem Devadas, President of Salamander Hotels & Resorts.